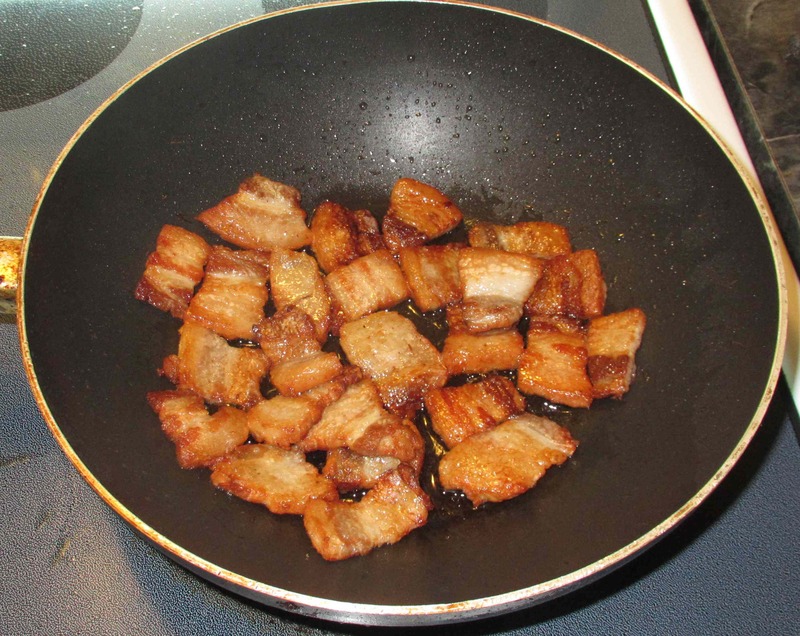 For this dish you can just use fresh pork belly slices and fry them in their raw state, but I generally have pre-cooked ones leftover from rendering the fat for other culinary uses. 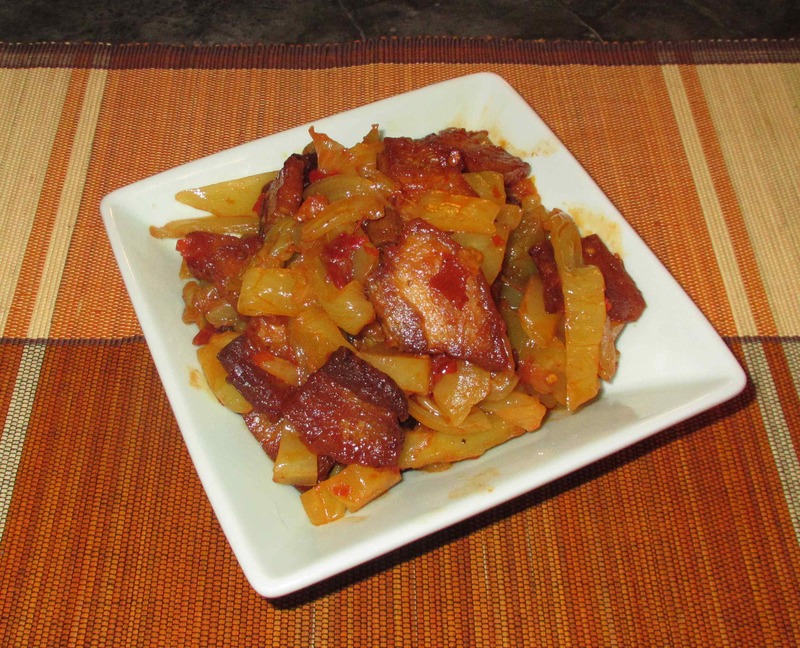 For this dish, I actually used some slices from my Pork Belly Confit experiment. First, fry the pork belly slices at high temperature until nicely golden and a little crisp. If using raw pork belly, you may need to add just a little cooking oil to get things started, but if using pre-cooked this won’t be necessary. Once the slices are done, drain off any excess fat over and above a tablespoon or so. 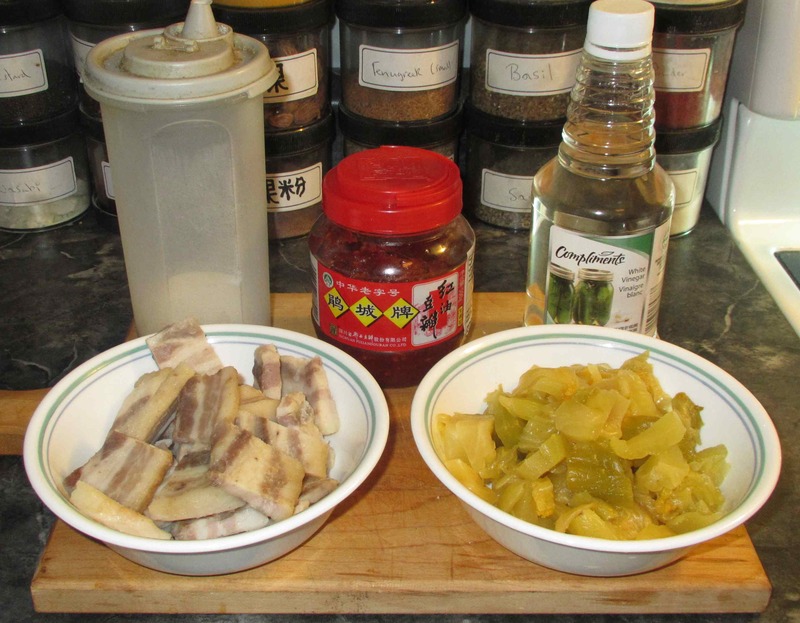 Scoot the cooked pork slices over to the side of the pan and add the chili bean paste, sugar and the vinegar. 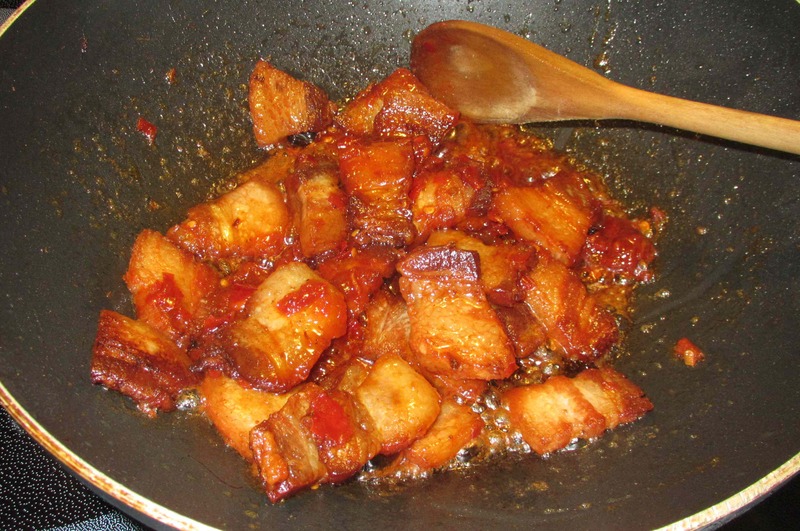 Stir to blend and then as the vinegar evaporates out, stir the pork into the blend to glaze the pieces. 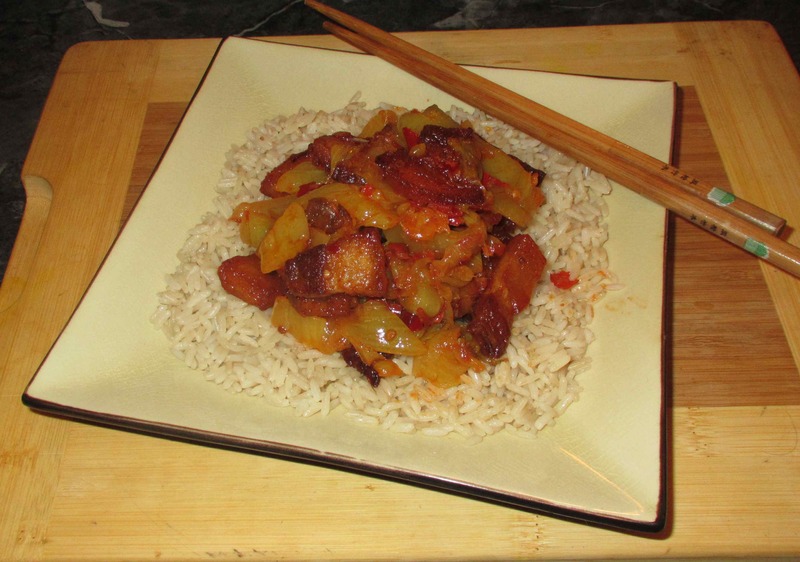 Finally, add the mustard pickle, stir-fry until well-heated through and serve immediately.